Beverly's Official Blog | News and findings from world of crafts, scrapbooking and more: NEW Yarn in Stores Now! 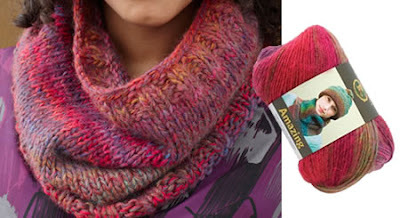 I would like to learn much more difficult knitting techniques/stitches like a "loop cluster". by the i guess this yarn is good also for wrapping your holiday gifts.I liked your blog it’s very interesting, your information had helped me very much, Please keep on posting the related information regarding this Article.